Bakers, bloggers, influencers, brewers… It doesn’t matter who you are or what you do, Instagram has a place for you. That rhymed… moving on. As 2018 rolls ever closer, it’s a great time to boost your follower numbers before launching campaigns in the run up to Christmas and the New Year. So how do you do it without resorting to ‘free follower’ robots that will only attract fake likes and won’t purchase from you? My Social Agency is here to give you a few of our favourite tips – be sure to let us know what works best for you! First and foremost, Instagram is a picture sharing platform, so make sure your photos are top notch! But, art (and Instagram can be an art form) is subjective and appealing to absolutely everyone isn’t possible. To make sure you’re delighting the largest possible audience, consider the tips below. Studies have shown that the most popular filter right now, is no filter at all! The full study can be found, here, but the main takeaway is that bright, strong photos with no filter perform better than anything else (currently). Sometimes a photo is just not quite right without a filter, and if augmented colour schemes are part of your branding, then life without a filter might not be right for you. If you are going to use a filter, you might be interested to know that the Mayfair filter is the most effective at generating likes. We’ve linked the full study here for you to take a look at, but for now, filter on. Even if you’re a cocktail bar which only operates after dark, this applies to you too! Did you know that photos with light levels between 65% and 85% have been found to gain 24% more likes? Don’t believe us? The full study is here, and it sheds plenty of light on the matter (see what we did there?). How many times have you seen a motivational quote with just the caption of ‘this’ or a hands up emoji? It’s going to be at least 5 every day, they’re everywhere, and they make people feel good. Because words are often easier to interpret than images, quotes can help you boost your engagement figures. You can create your own quotes or work with quotes created by others (make sure to give credit where credit is due) by entering them into apps like Canva, or one of their many other competitors. Most of these external apps are free, and only charge for additional fonts or bonus features. Whilst it may sound like common sense, you’d be amazed how many posts avoid copy all together. This isn’t something we’d recommend, unless you’re posting an inspirational quote image (more on those later…). And although Instagram is primarily a picture sharing platform, it has now become popular with individuals, companies and celebrities as a means of storytelling because you’re not restricted to 140 characters (it’ll be interesting to see what difference Twitter’s bump to 280 will have). You are competing with 800 million other daily users, let that sink in for a moment. Now consider that 4.2 billion likes are given every day. When you’ve narrowed down the numbers down to your audience pool (which will vary from user to user), it’s still going to be extremely competitive. 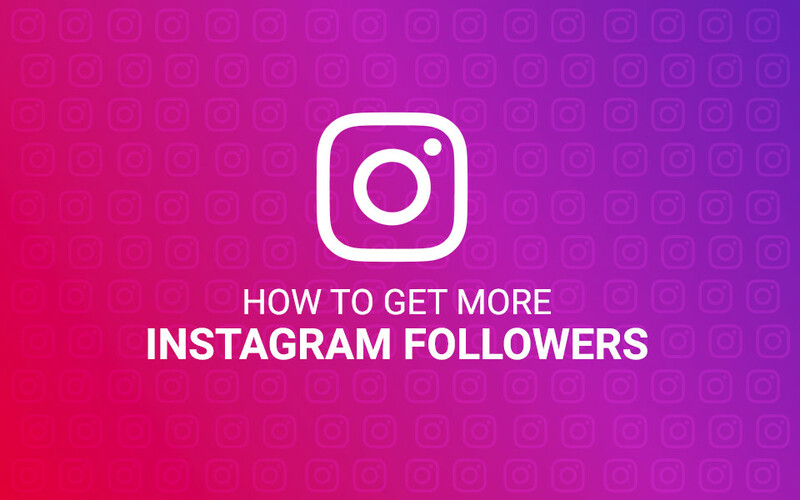 So it’s not enough to just be on Instagram, you also have to be delighting your current audience in order to attract a wider one. Don’t be boring, we cannot re-iterate that enough, don’t be boring! Tell a story with your photos, and your copy too! Since you’re not restricted to a lower number of characters the way you are with Twitter, you can write an epic story and convey your emotions in depth. Make the most of this character allowance, and connect with your audience on a deeper level. Even if you’re scheduling your posts in advance, it’s important to remain topically relevant, and up to date on current news. Tools like Buzz Sumo allow you to track topically relevant hashtags and see how many people are talking about any given hashtag. You can incorporate these hashtags into your scheduled content so long as they’re relevant, and tracking trending topics will also help you to avoid posting content which is inappropriate on a given day. Create a hashtag which is specific to your brand and use it EVERYWHERE. Make it a hashtag that you can use on all of your platforms, and that connects directly to your brand, and then, make it short enough that your followers can use it easily. If you’re a B2C business, encourage your clients to use the hashtag when showing your products – this sense of community is the first step in generating a cult-like following for your product. Consider this to be your business dating profile or your elevator pitch. Be upfront and honest about what you do and who you are, sell your product and include a link to your main sites. Internet users are smart, capable of making their own decisions. But, they’re also bombarded by information each and every day, so make sure you’re asking for what you want. Being ambiguous and artistic is great for generating interest in offers or competitions, but it won’t necessarily get you leads, conversions or purchases. Tell your audience what you want and use action verbs in your call to action (CTA), if you want someone to click on the link in your bio – just say it! It’s not too pushy, and it won’t scare people off. This follows on using a CTA in your copy, if you want to generate a buzz around your post to generate brand awareness, use the word ‘comment‘. It’s as simple as that, but it has a dramatic effect on the number of engagements and comments you’ll receive! We’re given two very different lines a lot in the social scheduling world, and currently, many companies are trending towards only posting higher quality content on a less frequent basis. This is something you should always remember, quality over quantity. Make sure that your images and copy are always of the highest quality before you go on reading this point. Once your content is of the highest possible quality, post it more often on Instagram. You heard us, more often. Despite what we’re typically espousing as marketers, there is no negative correlation between posting content more often and the number of interactions. Did you know that there’s less content posted on Instagram on a Sunday than on any other day? Well, now you do! This varies based on your audience, if you’re aiming a product at stay at home mothers of 6 year olds, timing your content for just after the school run is perfect, but it won’t suit moms who work during school hours. There are a number of studies about what the best time to post is, but ultimately it will come down to trial, error and research on your part. There are a number of programs which allow you to bulk schedule your posts on multiple platforms – including Instagram. No matter whether you’re looking for free software, or have a marketing budget to assign, there are options out there for you. Some of our favourites include: Sprout Social, Hootsuite and Later. Because Instagram now lists posts in order of perceived relevance and interest to the audience, it’s important that your content will consistently appeal to your audience. So refine the kinds of posts your putting out there and make sure they attract the high quality and high value leads you’re looking for. There’s nothing quite like a competition to drive organic interactions, people will like and share and comment if there’s a pot of gold (or a free product) at the end of it. Not all of the engagements will turn into the repeat customers, but some will – and they’re the important ones to focus on! If anything works particularly well for you, be sure to let us know! And if you’re looking to increase your Twitter follower numbers, take a look at our article, here.